The icy glitter of a white zircon is the perfect touch to the organic shapes in this modern design by jewelry artist Ian Gibson of J&I Jewelry. 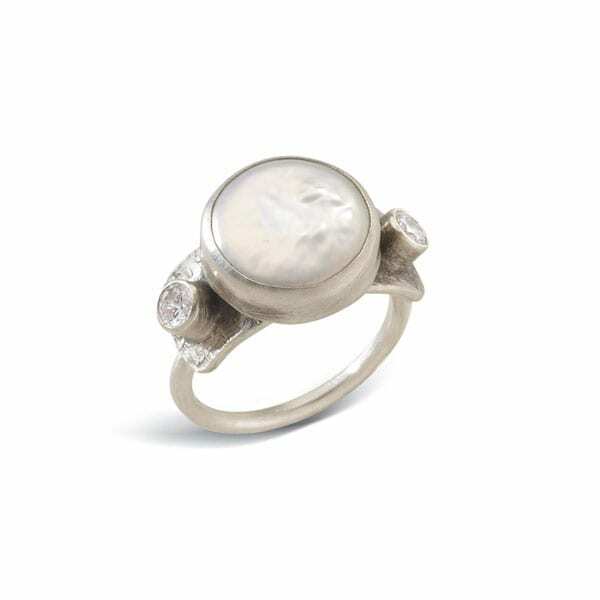 Round Coin Pearl Ring has a touch of sophistication from it organic bezelset coin pearl accented with white zircons on a tapered band. Whole sizes 6-10.